began providing new ballistic vests to 958 police officers working on the front lines. 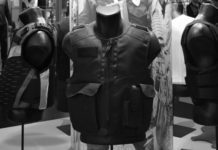 These vests offer protection against incoming fire from rifles. Interim Police Chief Brian Manley reported that the department paid over $300,000 for these ballistic vests so its officers would have a stronger level of protection. The money came from the department’s 2016 general fund at the end of the year. In explaining his reasons, he cited some worrying trends that law enforcement seems to now be facing that resulted in 135 deaths among men and women in 2016 while in the line of duty. Manley said there was a 10% rise in officer fatalities nationwide, and cited a significant rise in gun-related deaths, which became the leading cause of death among police officers last year. “This is not usually the case,” he said. “We usually see more traffic fatalities than we do from firearms, so this represents a significant rise of 56% over our figures for the previous year, and that’s very worrisome.” Manley said that each of the new vests purchased by the department had a price tag of $336. Manley said that of the total number of officers killed last year, 17 deaths occurred in Texas and 21 were killed in ambushes. This clearly showed that there was enough of a need for the Austin Police Department to approve the expenditure. 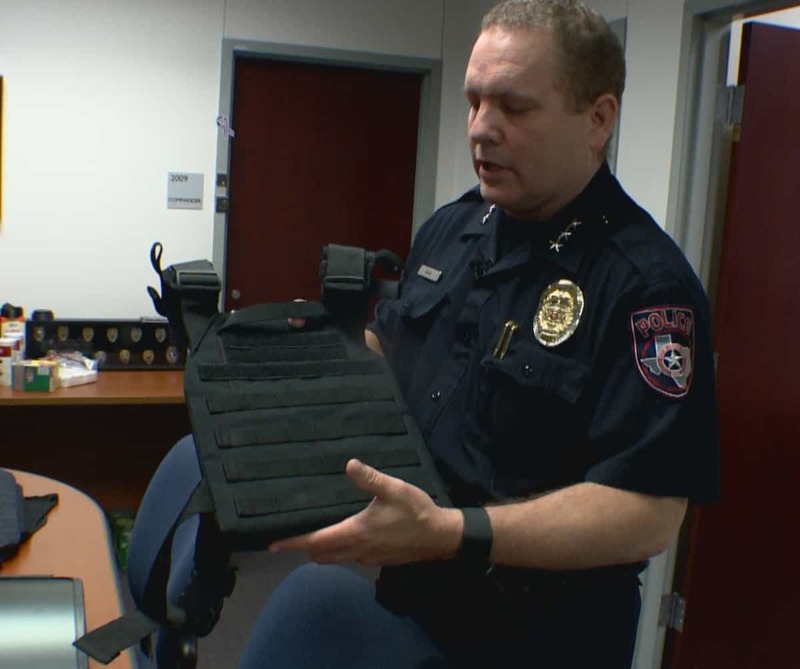 Officers are supposed to wear these new ballistic vests over the gear they already wear and this includes a protective vest that protects them against shots coming in from smaller-caliber guns. Each of these new vests has a heavy protective plate in front and in back, plus pockets that hold even more gear. 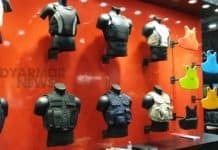 As Grayson was fiddling with the straps on the approximately 10-pound piece of body armor trying to slip it on over his head, he went on to say that in the 16 years he’s spent in law enforcement, he most likely faced five or six situations a year where he would have definitely appreciated having access heavier body armor.